The new board of ITF Scotland were duly elected for the next 3 year term, by the membership on Saturday 30th March 2019 at the Hilcroft Hotel, Whitburn, West Lothian. The ITF Scotland National Championships were held over the weekend of 23-24thMarch 2019, at the Ravenscraig Regional Sports Facility in Motherwell. It was planned to be a two-day event with the Pre-Junior competition for up to 13 years competing on Saturday, with Juniors, Seniors and Advanced Seniors competing on Sunday. 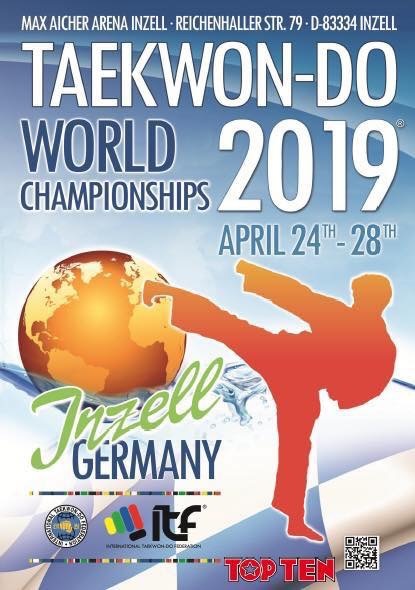 The two-day event allowed more time to be given to the Junior and Senior Advanced competitors where it was possible to have league formats for all sparring categories and a perfect practice time for travelling to the World Championships next month. For the first time at the weekend ITF Scotland were very pleased to have Junior and Senior categories of students with Additional Support Needs included in the programme. All registrations were handled by Sportdata Event Technology (SET) to align ITF Scotland with mainstream ITF tournament administration. Although this was a first for ITF Scotland, and the process of transition for the instructors worked well, with all entries being completed on time. This year’s championships saw an administrative collaboration between the National Association; ITF Scotland, and Allied Association; TKDSL. Master Gordon Wallace 8thDegree used his previous SET experience to advise, train and support Mrs. Gillian McIlvaney 5thDegree with the SET Admin processes during registration and competition day. The competition itself drew 464 competitors from 23 schools across Scotland from both the NA and AA, as well as 4 schools travelling north from England to take part. Over the two days there were 183 categories in Pattern, Sparring, Special Technique and Power, with one team event of Pre-Arranged Free Sparring. Registration commenced on Friday evening with final numbers being completed on Saturday morning. The day started at 09:15 with Patterns for under sevens and Special technique for the 11-13s and as each category passed all age groups and grades swapped events until all 106 categories finished with sparring on schedule at 16:00. The hall was deconstructed and reformed for Day Two and all went home at 19:00. Sunday started at 09:30 with Junior Patterns, Advanced Senior Power Test, Senior Special Technique and our brilliant Additional Support Needs Students. Our ASN’s were directed by Senior Umpire Mr John Munro and directed on the mat by Mr John MacIlvaney. For close to two and half hours they held the audience mesmerized by their courage and perseverance. We would like to thank the instructors of Glasgow East; GMAC Martial Arts and MacGowan’s Blackbelt Academy for their selfless work in preparing these students for the competition. The morning and early afternoon passed with all Patterns, Power and Special Technique completed. This left the stage for the Junior, Seniors Advanced Level Sparring Leagues. This was a fantastic spectacle of high energy sparring. The Junior Red-Black divisions were very well represented, and all contenders were clearly there to win. The 2019 ITF Scotland Championships closed with some spectacular Special Technique from Zak Obike (Erskine) and Fergus Alberts (Boydell BBA). It was a fitting tribute to a fantastic competition. ITF Scotland and TKDSL would like to thank all competitors, coaches, umpires and supporters for a memorable championship in such a highly competitive manner but with such good sportsmanship, courtesy and friendship among everyone. One of the best we think. This competition is open to ITF Taekwon-Do students 10th Kup to 6thDegree. Please take the time to read the following information. We look forward to seeing you and your students at the competition. It is with great pleasure and honour to invite you to the International Umpires Course to be held in Cardiff, Wales on 9th and 10th March 2019. The IUC will be held from the morning of Saturday 9th March and will be conducted by members of the ITF Umpire Committee. The IUC is open to all ITF members from 1st Kup to 9th degree. The course is a prerequisite for any umpire who wishes to umpire at the forthcoming ITF World Championships in Inzell, Germany 2019. Accommodation is available in many hotels in the nearby city centre. Places on the IUC will be limited so book early to avoid disappointment and to guarantee places. A reminder the annual general meeting of plaque holders is to be held on Saturday 19th January 2019 @ Perth College UHI, Creiff Road, Perth, PH1 2NX. Start 12 noon. Plaque holders have been emailed full invite and tentative agenda. This course is open to 3rd Kup and above aged 16+. It is an introductory course ran by ITF Scotlands Child Protection & Safeguarding Officer Mrs Angela Barrie. The course covers an introduction to Child Protection within your Schools & classes, and introduces safety procedures regarding children and vulnerable adults within your classes. The course also looks at how to deal with any situation that may occur, and steps that should be taken to report these. Participants should wear tracksuit and bring a pen and notebook. *Please note those who attended the Level 1 Instructor Course January 2018, please contact the secretary general for discount code prior to booking.